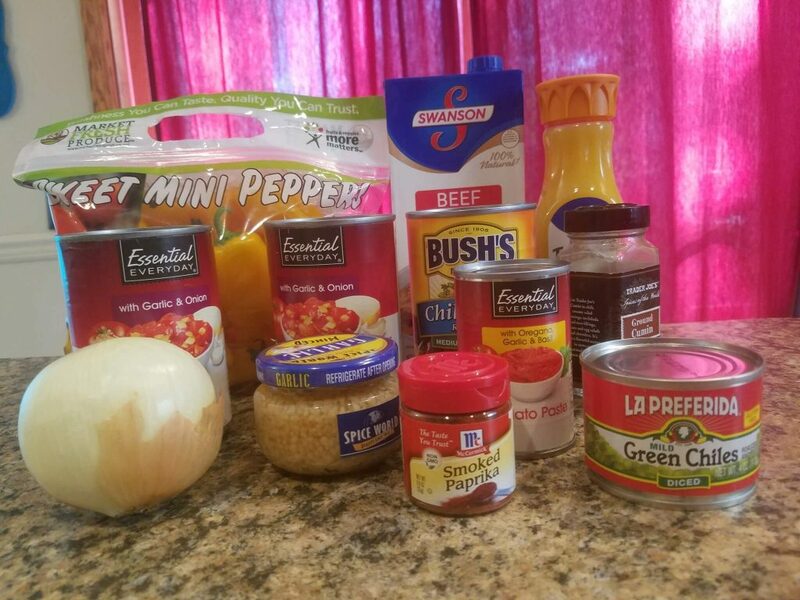 Spice up your meals with this easy to make, camp ready recipe. Deer season is finally here. In most areas, bow hunters have been out in the woods for almost a month now, and gun season is right around the corner. With deer hunting often comes deer camp, and in deer camp are hungry deer hunters. A lot of a hunters time at camp centers around food, and the memories of those sights and smells take me right back to deer camps long past. Grandpa Warren frying steaks in an ancient electric skillet, cousin Judy’s famous homemade chocolate brownies, brandy 7’s and Schell’s beer. But it was the rich, spicy smell of chili that really warmed me up after a long day in the stand. 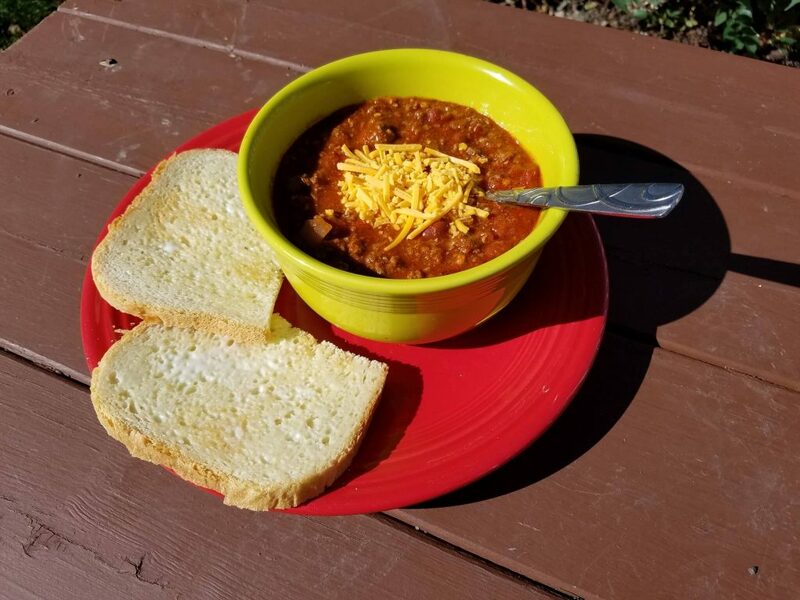 To me, you can’t have deer camp without Deer Camp Chili, and I’m going to share my version of it with you. I’m sure you’ll like it, and I hope the wafting scent of onions, garlic and peppers found within it help warm up your deer camp or kitchen for years to come. This recipe is all about keeping it simple. I’ve tasted and made some amazing chili’s with often exotic and hard to find ingredients. That’s not what we are going for here though. 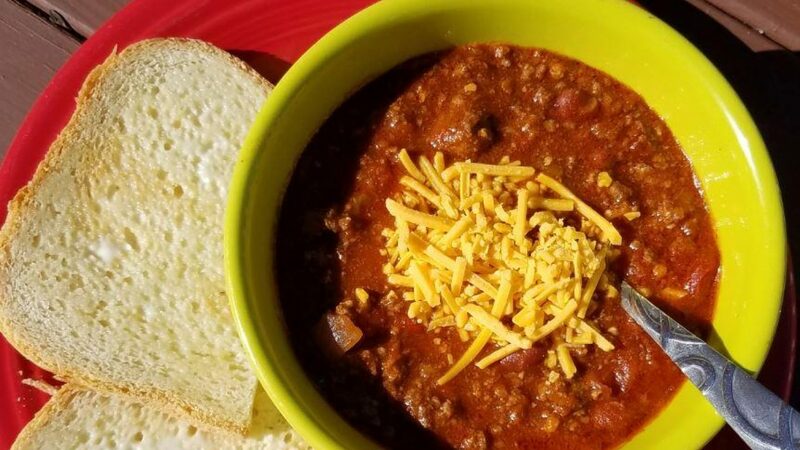 This is Deer Camp Chili, and you should be able to find all the ingredients in pretty much any town you might pass on the way out to deer camp. The core of my chili is ground venison, but pretty much any ground game meat will do. To add fat, I include a pound of ground chorizo, which really kicks the flavor up a notch for this recipe. What about beans? You can take them or leave them depending on your preference. Over time I have went from using 3 cans of chili beans, down to the one listed here, and I can see myself getting rid of beans entirely at some point. For the peppers, I like to use a bag of assorted sweet mini peppers when I can find them, which is most of the time. If not, a standard green, red and yellow bell pepper would do fine. All the ingredients you need, outside of the meat. 1 can of beans in chili sauce (optional). Cheese to garnish. Beer to drink. Using a large stock pot, brown the chorizo and ground venison over high heat, stirring occasionally. If necessary, brown the meat in batches. Reduce heat to medium-high. Add the onion, peppers and garlic and let it cook for 5 minutes giving it a good stir. Add the powdered spices, stirring them into the meat. Add the canned chili’s and do the same. Stir in the bottle of orange juice and cans of diced tomatoes including any liquid found in the can. Add just enough beef broth to cover everything in the pot. The chili may seem to thin, but will thicken as it cooks. Cover ½ the pot with the lid and reduce heat to barely a simmer. After 2 hours, add your beans in chili sauce. Stir. Simmer an additional hour. Serve garnished with cheese and a cold beer.